"The highlight of our recent trip to Napa/Sonoma was the day spent cooking with Lea Bergen of Forno Rustico! I have had a brick oven for about 6 years now, and have been focused on pizza and breads. Lea designed an experience for me and a friend that explored clay pot cooking in the wood fired oven! We had a fantastic time preparing the food and a wonderful afternoon eating it with our family that joined us. I came home energized to explore a whole new world with my wood fired oven! She will customize a culinary experience based on your own experiences and desires. 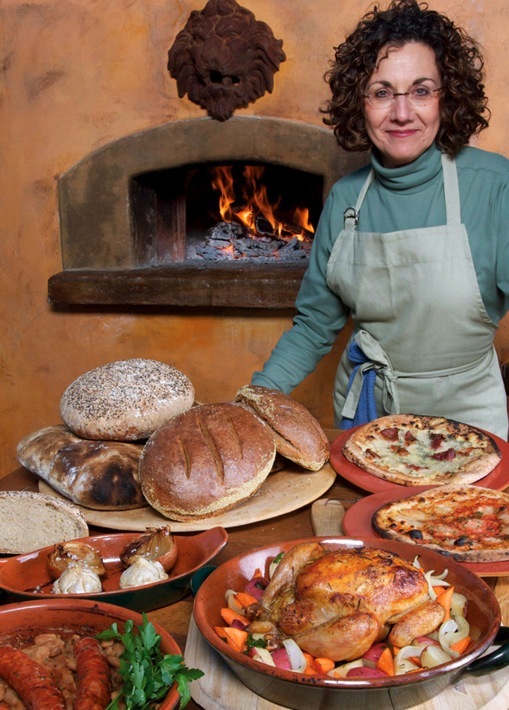 While Working as the Director of Lorenza De'Medici's Cooking School in Chianti, Italy, Lea was introduced to professional bread baking at a small wood-fired bakery in Lariano, a village south of Rome. It was there that her passion was sparked by the flame of live-fire cooking and a baker named Fausta. In addition to being an award-winning filmmaker and chef, Lea's diverse experience includes being the Vice President of Program Development and Executive Director of Adult Education for the California Culinary Academy, as well as the General Manager of the Thomas Fogarty Winery in Portola Valley, CA and Cafe Fontebella in Oakland, CA. She was a dinner chef at Greens Restaurant in San Francisco, a line cook at Chez Panisse in Berkeley, and the founding chef of the Opera House Café in Petaluma, CA, the Desert Café in Santa Fe, and the Florentine Cooking School in Saratoga, CA.